I once got lost in a human maze and I have not attempted navigating another once since then. It really was a bad experience: I was on the verge of pushing through the walls of shrubbery if my sister hadn’t found me right then and there. After that incident, I realized that I had a new-found admiration for those mice that seem to be able to find their way through mazes during experiments. And then there are the robotic rodents. So they don’t exactly look like mice or rodents per se, although they’re tiny robots that can do what those laboratory mice can, only faster. In this year’s All Japan Micromouse Robot Competition that was held in Tsukuba, Ng Beng Kiat’s robot called Min7.1 reigned supreme. 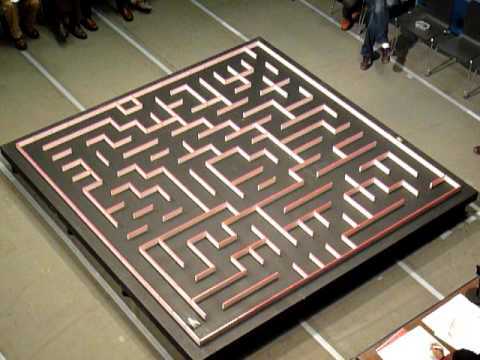 The Min7.1 was able to navigate through the entire maze in a record-breaking 3.921 seconds. Talk about fast! Kiat’s robot was said to have a speed of 12 kph and just measures 10cm long. In last year’s event, Khiew Tzong Yong’s robot micromouse was the star as it was able to navigate through the entire maze in just 5.513 seconds.